Always have the extra motivation of a running buddy, no matter where you are in the world. You’ll never run alone again. With features like in-run voice chat and live race status update audio cues, RunLive can turn a boring lonely jog into a fun run with buddies, around-the-clock competition and challenges. Want to run with a friend who lives in a different city or across the world? Schedule a run for a specific time and day and tap their name to invite them to your run. Run with anyone - Connect with motivated runners across the world and run together in real-time, anytime anywhere. Live Running - Track your friends’ running activities, see how you measure up against other runners, comment, voice-chat and even share a photo or video during your run. Stay Motivated - Running with a partner is proven to keep you motivated and covering more miles. RunLive means you’ll always have a running partner to push you towards your goals. Run Against Your Personal Best - Revolutionary ‘Ghost Mode’ records your previous running performances, letting you run against your own personal best times. Get Rewards - Turn your sweat into sweet rewards when you earn RunCoins™ for every calorie burned with a chance to earn bonuses for running streaks and winning races. Redeem your RunCoins in our built-in Rewards Store for fitness gear, adventures and exclusive promotions from our partners. Live Races - Pick up your phone and find a race to join at any time of the day with publicly accessible Live Races. Scheduled Runs - Prefer to run against friends? Setup a custom session, select a distance and invite your favorite running buddies. Rewards Store & RunCoins™ - Earn RunCoins™ for every run you go on and exchange them for must-have fitness gear and adventures in the Rewards Store. Audio cues - Know when you’re about to get passed or do the passing in a real-time race with audio cues. Voice-chat - Motivate, crack jokes and throw down the challenge with real-time voice chat. Real-time Messaging - Stay connected with everyone in a race with live messaging. 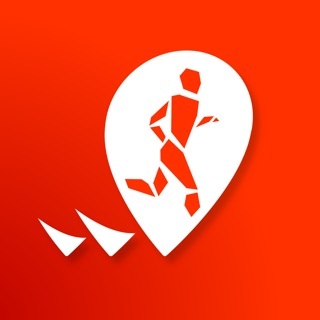 Photo Sharing - Share the scenery of your running route across the world with in-built photo sharing. Social Sharing - Just won a race? Tell the world about it with integrated social sharing across Facebook, Instagram and Twitter. RunLive uses Apple HealthKit to read and write data about your heart rate (BPM), Active Energy, Walking + Running Distance and Workouts which are displayed on the running screen and your run/race results. Permission to access this information is requested when you login to the RunLive app for the first time. If at any time you decide you'd rather not share this information with us, simply go to iOS settings > privacy > health > RunLive and turn off permissions granted to the RunLive app. RunLive™ is a part of the Tonus™ network. TIP: Now you can invite friends who don't have the RunLive app directly from the "schedule a run" screen. Simply type the name of a contact in your phonebook and tap their name to add and invite them to your run. I was looking for a running app that I could run with my cousin in Switzerland and I could not find any running app that would allowed me to do that in real-time until I tested RunLive, the controls was very easy to use, And i even got rewarded with points that I eventually cash out for fit prizes. The amazing thing about this app is that it does not matter if you are a novice runner or an expert runner, it adjusts to your needs. RunLive has encouraged me to get healthier and has made running an enjoyable experience regardless of if I’m challenging a friend, stranger, or my own personal times. Definitely recommend!!! I was getting bored of running until I found this app, running against my friends or anyone around the world keeps things interesting and if I really want to challenge myself I'll use the ghost mode to beat my own times!